The bankruptcy regime in Qatar draws upon the principles contained in the legislation of many western jurisdictions. It includes familiar concepts such as claw-back and preferences. The bankruptcy regime in Qatar draws upon the principles contained in the legislation of many western jurisdictions. It includes familiar concepts such as claw-back and preferences. Where Qatar differs from these jurisdictions is that it is largely untested. There is no reliable back-catalogue of comprehensive precedents. This causes understandable concern for financial institutions and lenders in general. How confident can they be in the validity and value of their security if the borrower or security provider becomes bankrupt? Financial institutions see it as important to take collateral, wherever it is available, both inside and outside of the jurisdiction to support financial arrangements in Qatar. Examples include real estate, equities listed on international exchanges, government and corporate bonds and physical assets such as plant and machinery. In Qatar there are two concurrent bankruptcy regimes. The first is the local regime, the provisions of which are set out in the Commercial Law No 27 of 2006 (“Local Regime”). The second is found in the QFC Insolvency Regulations 2005 and applies to bodies corporate and branches registered in the QFC (“QFC Regime”). The Local Regime appoints a bankruptcy administrator to manage the bankrupt’s affairs, business and property with the aim to achieve repayment of the bankrupt’s debts, as far as possible. The Local Regime contains no explicit provisions with respect to foreign bankruptcy proceedings. This is distinct from some western jurisdictions, where there is clear provision for cross border issues in the event of bankruptcy and the ways in which these should be addressed. Qatar has not implemented the Model Law on Cross Border Insolvency of the United Nations Commission on Trade Law (UNCITRAL Model Law). It is therefore unable to seek the co-operation of the foreign courts in those countries which have implemented it, such as Australia and the US. Notwithstanding this, and in light of the increasingly international nature of insolvency, commercial necessity has encouraged national courts to provide assistance to each other under a concept known as comity of law. This means that territorial integrity does not prevent a court in one jurisdiction from giving assistance to a court in another jurisdiction in respect of assets located, or persons resident within its territory. Indeed there are certain countries, for example England & Wales, in which the national courts have an inherent jurisdiction to assist foreign office holders. Consequently they may remit assets located in their own jurisdiction to assist a Qatari bankruptcy administrator. However, if the courts in the location of the asset are unwilling or unable to offer assistance, the bankruptcy administrator may have to initiate concurrent proceedings. Although there is no recognition of foreign proceedings in Qatar, there are also no provisions restricting the power of the bankruptcy administrator to look beyond Qatar to the bankrupt’s assets abroad. Nothing in the Local Regime distinguishes between external and internal assets. It therefore follows that the bankruptcy administrator should be permitted to take action it deems necessary to seize the bankrupt’s foreign assets to boost the bankrupt’s estate for distribution to the creditors in the Qatari proceedings. The ease with which this action is taken is likely to depend upon the jurisdiction of the assets. While the Local Regime remains largely untested it is difficult to say with any certainty how effectively the administration of the bankruptcy process would handle any cross-border aspects. The Qatar Financial Centre (“QFC”), established in 2005, is a separate legal jurisdictions from the State of Qatar, similar to the Dubai International Financial Centre (DIFC). The QFC has implemented its own bankruptcy regime through its Insolvency Regulations 2005. The QFC Regime is based on common law principles and is consequently similar to insolvency legislation in England and Wales and other common law jurisdictions. It offers a more comprehensive regime than the Local Regime and, because it is more closely linked to England and Wales, one can perhaps look to case law there for further guidance as to its application. The QFC Regime takes a wider approach to bankruptcy as it recognises non-QFC bankruptcy proceedings, including foreign proceedings. Provisions of the Insolvency Regulations state that the QFC tribunal will co-operate to the maximum extent possible with courts of non-QFC representatives (i.e. a person or body authorised in a non-QFC proceeding) and may be willing to entrust distribution of all or part of the bankrupt’s assets located in the QFC to the non-QFC representative, provided it is satisfied that the interests of the creditors in the QFC are adequately protected. In terms of seizing assets in different jurisdictions, the QFC Regime gives the insolvency administrator, supervisor or liquidator wide authority to act outside of the QFC on behalf of a proceeding under the QFC Regime. Thus the insolvency administrator is able to take any action deemed appropriate to recover assets in other jurisdictions to realise their value for the benefit of the creditors in the QFC proceedings. The QFC Regime is a more substantial piece of legislation than the Local Regime. It offers more certainty to lenders and security holders in terms of the cross border aspects of the bankruptcy procedure. The case law of the jurisdictions upon which it is based also gives guidance as to the application of its principles in practice. A security holder in relation a foreign asset will want to take prompt action to ensure the asset does not fall within the portion of the bankrupt’s estate available for distribution to unsecured creditors following the issuance of a bankruptcy judgment. Depending on the jurisdiction, it may be possible to enforce certain types of security, such as share pledges, without the need for a court order. Share certificates and blank share transfer forms should be obtained by lenders when taking such security in order to facilitate sale without recourse to the courts in the event of a default. The security holder should also consider informing the Qatari administrator of bankruptcy of its foreign enforcement action with the aim of preventing any attempts to take control of that asset. This will not be an issue for registered charges such as mortgages however there may be certain types of security vulnerable to such action. An example would be a floating charge over a debt repayment or a receivable. 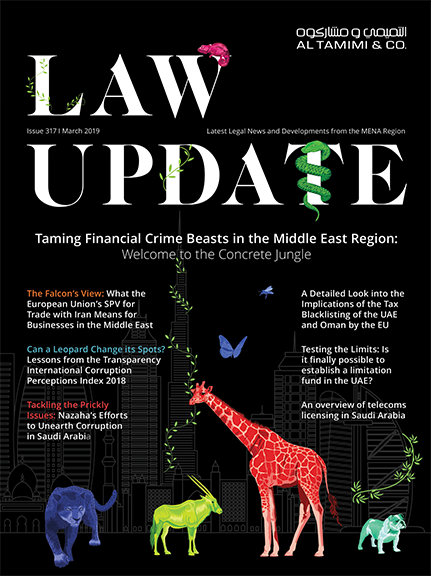 In the event that the Qatari bankruptcy administrator secured the repayment of a debt in the UK for the benefit of the bankrupt’s estate, the holder of a charge over such debt could find itself in Qatar trying to enforce its security under the bankruptcy proceedings – possibly as an unsecured creditor. Enforcement could take as long as 3 years if contested. Qatar’s staggering economic growth, combined with other factors such as a view that an admission of inability to pay debts is not good business practice, means that very few bankruptcies have taken place in Qatar. While bankruptcy laws are largely untested and a lender can never be 100% satisfied as to the validity, value and enforceability of its security, there are practical measures a prudent lender can take to protect itself. As a general principle, security should be taken where the asset is located, and security documents will therefore be governed by the laws of such jurisdiction. A well advised lender will ensure that appropriate steps are taken to perfect the various types of security open to it. Proper legal advice should be taken and a legal opinion obtained from a reputable local law firm in the jurisdiction as to the enforceability of the security document and the capacity of the entity granting such security, depending on the circumstances.